To provide a support service to people who are in need by reason of age, ill-health, disability or other disadvantage so that they have more choice, flexibility and control of their own care. To advance education through the development of individual capabilities, skills and understanding. If you are interested, please get in touch and we will send more information and a Membership Application Form. 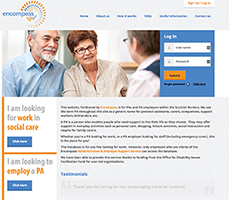 Encompass can help people to recruit, manage and organise their own staff by offering a range of services to enable them to live independently (see Services). liaising with social care and health services. The services we offer are all about making life easier for you. Being an employer is a complex role, and you can have peace of mind knowing that you, or someone on your behalf, can rely on support from us. We are a friendly and approachable user led organisation and put YOU at the centre of what we do. Find out about forthcoming events and get news about what is happening locally and nationally. We provide a comprehensive payroll service. We will support you by holding your funds in a client account. You can see the latest job vacancies here. Our dedicated website holds a database of Personal Assistants. I thank you very much for again helping us out so well – most grateful to you. I will always be grateful for the emotional support and practical help which I had from the team over a number of years. Keep up the good work! The direct payment system has made such a huge difference to our lives and we are grateful for all the help and support you have given us. What a wonderful job you all do for us. A big thank you for all your support throughout the year we really appreciate this help you have given us. Our lives are much happier and easier. Many, many thanks to all the staff at Encompass over the years. Your help has been invaluable. We couldn’t have managed without you. Thanks for all your assistance during 2013. We really appreciate this help you have given us. Our lives are much happier and easier. Encompass has played a big part in my life since 2005. Many, many thanks to all the staff at Encompass. Your help has been invaluable. We couldn’t have managed without you. 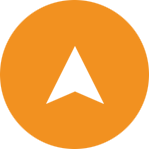 Encompass do all the paperwork, including managing the funds. Encompass helped us find carers. The support I get from Ecompass allows me to have the staff I need to lead the life I want without the hassle or stress of all the administration etc.